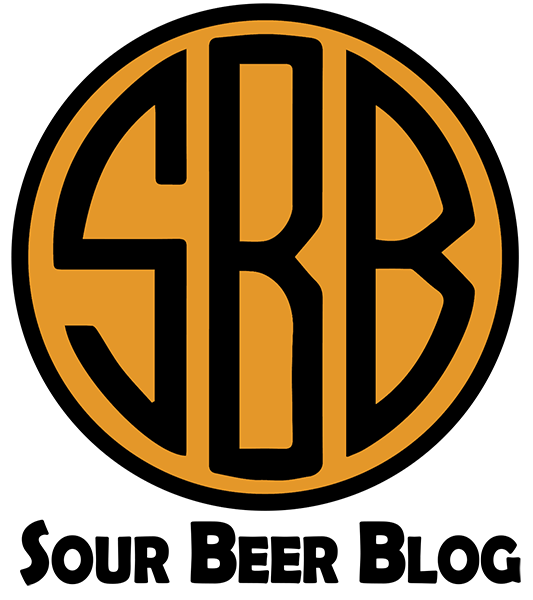 If you have a question about any topic related to sour beer or the brewing / blending of sour beers, please ask us using the comments form below or by clicking here to email me. 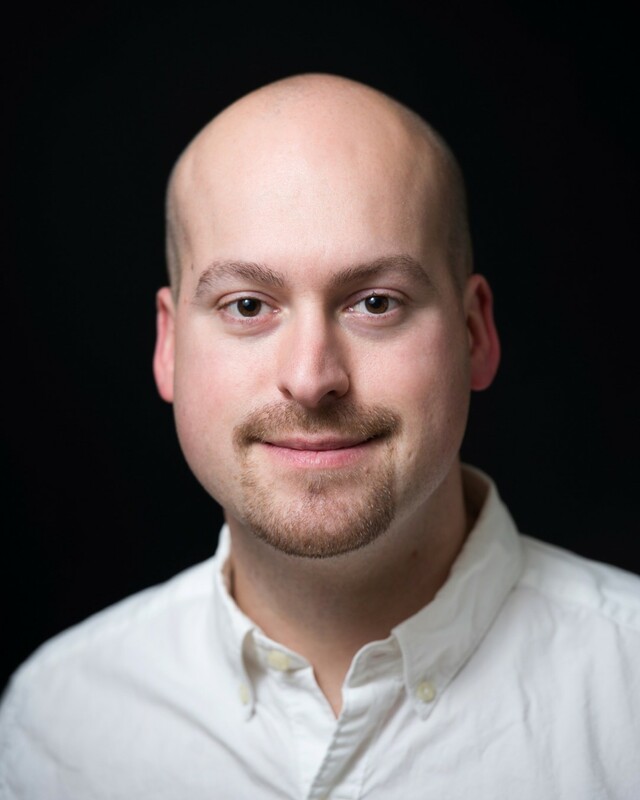 I will answer your question directly, or, if it is a topic that can be expanded on for an educational article, we will publish both your question and my answer on the site in a regularly updated segment called Ask Dr. Lambic! Hey Matt I am a fan of your site and enjoyed listening to you on the Sour Hour. I read your article on sour worting and was wondering why you say to get the pH to 4.5 before adding lacto? Is it to limit other bacteria from growing and spoiling the beer? I’m about to attempt a sour saison using a modified version of your sour wort technique. The recommendation to reduce the pH before adding Lacto is to provide extra insurance against the growth of the off-flavor producing bacteria Enterobacter and Clostridium. Thanks for following the site and good luck with your sour saison. I’d love to hear about how it turns out. I’m gearing up to do a couple batches using your sour worting technique. Just a few more quick questions then I’ll quit bugging you. Have you used lacto Brevis for this method? That’s what I currently have and I was wondering if you have any experience with it. It looks like you typically use lacto d, and from my limited understanding, they work differently. Also, I purchased some melange blend from the yeast bay. It contains sacc, brett, and pedio. Would it be fine to just pitch this vial into the carboy after sour Worting in a keg? I’m also doing a batch with your 3 step fermentation technique for comparison with sacc and Brett separately, but I was wondering what you thought the best way to utilize a blend (in this case melange) would be. I also heard you on the sour hour the other day, pretty cool stuff you are doing! I’ve used L. brevis in several batches of sour blond ale using the 3-step method over the past 8 months and they are all developing nicely so I would say it works well. It does off gas CO2 unlike homofermentative strains so make sure to account for that by opening the blowoff valve on your keg and covering it with a foam stopper or something that will allow gas to escape without any microbes floating in. I haven’t used the melange blend yet but I’ve heard great things. It’s designed to be pitched as a primary fermenter (Pedio will sour the beer during its aging process), but it should work well after an initial Lactobacillus fermentation as well. This may help the beer sour faster or produce a different array of Brett characteristics. Melange should work well either way and it would be interesting to try it using both methods at some point. Thanks Jerad it was very cool to get the chance to participate on The Sour Hour and I’m very happy to be able to sponsor them. Great stuff! 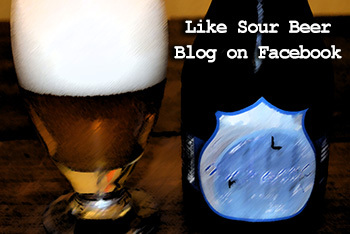 Have you posted a recipe on your site for your sour blond? I wrote down Jay Goodwin’s recipe from one of the sour hour episodes, but several of the malts he’s using are hard to get ahold of. I think it would be nice to do a golden sour as a base for blending with various fruits later this summer. I posted a recipe at the bottom of my article on hoppy sour beers for a dry hopped golden blonde sour. This malt bill is pretty much my go-to for a sour blonde. If you want it to be very pale, leave out the color modification malt. Also, the oats are in there for mouthfeel, but if you don’t want to use them you can replace them with more wheat or mix it up and use a rye malt. Generally, I tend to use this ratio of 60% barley malt to 40% other cereal grain malts in all of my recipes. It is more or less a modified grain bill from traditional lambic brewing. States 1-3 month ferment. Nervous about the saccharo autolyzing if it sits there that long. Can you help clarify this? When using a mixed culture like this, the risk of autolysis flavors from an extended fermentation is very low. It is true that if it sits for several months some Sacc may start to autolyze, but the byproducts released from this are taken up by Brettanomyces as a nutrient source. If it happens you’ll get a bit more funk potentially but not typically the strong meaty off-flavor typical to autolysis. That being said, the different bacteria and yeast in these blends are often far less flocculant than the Sacc, so if it has sat for a month or two but you’d like it to age longer, you can rack the beer into a new carboy off of the yeast cake. All of the Brett and bacteria you want for aging will still be in suspension and will move along with the beer while the bulk of the Sacc is left behind. Good luck, welcome to the wild side, and thanks for checking out the site! Shoot me an email and let me know how your beer turns out. Hey one more question for you, do I use the same volume of O2 with the blend as I would a normal sac ferment? Also thanks for sponsoring the Sour Hour! I do use the same oxygenation regimen as I use for my non-sour beers. I don’t have a flow meter but in general I use about 1 minute per 5 gallons from a standard welding O2 tank through a sintered stone. Thanks Mark, I’m a huge fan of the show and happy to support them! 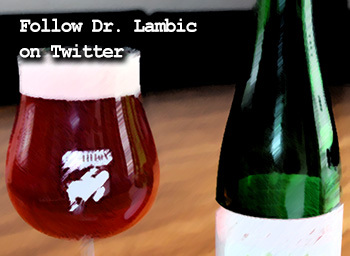 O wise Dr. Lambic, need you to talk me off the ledge. Brewed 1.060 20 IBU wort. 48 hours in, at 71 degrees…basically looks like zero activity. Need another vial? Didn’t do a starter, did hit it with about 1/2 of the O2 I would do for normal saccro ferment. No kruesen. Do I need to be concerned? First time at all brett ferment. Teach me sour master! Unfortunately the reason you’re seeing no activity is because the beer was significantly under pitched. Unlike White Labs Saccharomyces vials which contain around 100 billion cells per vial, their Brettanomyces vials contain somewhere between 1.5 to 3 billion cells per vial. These vials are intended to add Brett for secondary aging. For primary fermentation you will need to grow up much larger quantities of Brett via starter(s). For a five gallon batch your beer would have needed about 300 billion cells. Check out Jamil Zainasheff’s yeast calculator to figure out how to step up your starters for the next batch. For this batch I would suggest pitching 2-3 vials of a Saccharomyces strain and then let the Brett you’ve already added come out during aging. Good luck! I have a sour brown that has been aging almost a year. I mashed at 158 F and OG was 1.056. I fermented it with wlp001. The gravity after the primary was 1.020. I transferred to a 5 gallon glass carboy and pitched roselare blend and bottle dregs from a bottle of Oude Tart. I left it alone for 9 months. Next I transferred it to a keg and added a gallon bag of some wild muscadine grapes. I did not check the gravity before adding the grapes. I have checked the gravity a few times over the last 2 months and it has been 1.018. I am concerned about the gravity. It’s too high to bottle and it’s not changing. The beer tastes good. It’s tart but not that sour. Should I give it more time? Should I pitch more bottle dregs? Sorry for my late reply on this question. In my experience it seems unlikely that the Brettanomyces in the blend wouldn’t wake up and ferment down any sugars from the grape addition relatively quickly (within a few weeks). So my guess is that the higher gravity of dextrins from the initial recipe is probably still what you’re reading. It is too high of a gravity to bottle long term but you could certainly bottle it to share if you know who you are giving it to and they will drink it quickly. You could always introduce another pitch of a new strain of Brett or different bottle dregs to try to attenuate the beer further. Has the gravity dropped any further since sending in this question? Thanks for responding. I checked the gravity 2 weeks ago and it’s now at 1.016. In my experience when a beer continues to slowly attenuate like this it’s likely to continue doing to for up to a couple of years. During this time the Brett may turn up the acetic acid sourness a bit if oxygen exposure slowly occurs but it’s unlikely to develop much more lactic sourness unless you introduce some Pediococcus. If you age it too long to try to attenuate it further you run the risk of not only losing flavor from your grape addition but also developing undesirable malt oxidation flavors. If it were my beer I would carbonate it in the keg and enjoy it. If you’re looking to bump up the sourness a bit you could even dose in a little tartaric acid which may help brighten up any grape flavors. You could always do that with half of the batch and age the other half, that way even if the aging half never does much, you still got to enjoy some of the beer. I have a split batch of beer in the primary for about 72 hours. 5 gallons got inoculated with only Brett Naardenensis the other half with an ale yeast and a ton of bottle dregs. The ale yeast took off within 8 hours, but the brett beer doesn’t even have positive pressure in the airlock. It’s been 72 hours! The crazy thing is there is a slight pellicle forming. I’ve done about a dozen 100% brett beers and have never had anything like this happen. Any experience with this, or suggestions? I haven’t personally used B. naardenensis as a single pitch in my brewery. Can you tell me a little more about the pitch you used? Was this an East Coast Yeast bottle? Without knowing a little more about the conditions I would venture two guesses: either the pitch was too small or the yeast may have been in poor health from age or potentially too hot or cold of transit conditions. I look forward to hearing more about this batch. Have you tested the gravity? Any attenuation occurring yet? I want to start a mini solera project in my 6 gallon carboy. So in my carboy right now is about 5 gallons of a base lambic that has been aging for 6 months. My plan is to bottle condition approximately 3 to 4 gallons of it and then top off whatever is left in the carboy with a new sour with a fresh pitch of Wyeast roselare blend and continue this process forever. Am I safe to assume that I can do this with a primary fermenting beer on top of my already fermented aging beer? What do you think about this? I haven’t personally used a solera process to brew sour beer but a number of folks have with success. You may not have to pitch fresh Roselare blend but I see no harm in doing so. I think the solera option is a nice way to keep a culture perpetually fed with fresh beer and will potentially produce some really nice sours for you. Is there anywhere I can get information on how to properly describe sour beers when tasting. I am just learning sour beers (which I love), but I am not an experienced taster. 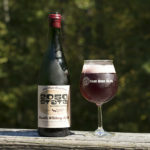 Without trying to sound biased, I would highly recommend checking out the review articles on Sour Beer Blog. 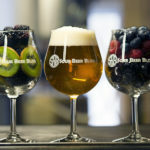 Our goal with these reviews was always to describe the flavor and aroma profiles of sour beers in detail, in order to help those tasting these beers to put descriptors to their experience. june 12 2016 , I just tried a sample from two 53 gal. hogshead barrels ( that used to be used for tequila in Jalisco ) that i filled with lambic 6 months ago. They are developing some good flavor but are already slightly acidic ( not VINEGAR ) I’m guessing lactic acid . Is this something I should be worried about? my first pilot batch became too acidic to drink after 18 months of bottle conditioning . I am going to be brewing some more 66 % 6 row / 33 % raw wheat wort to use for topping off the barrels sometime this month to protect them from o2 . back in january i used a case of my pilot batch with wyeast roselare and lambic blend after the wort cooled in the barrels. I also just got a microscope to help see what is going on . can you post more photos of brett and pedio like your photo of the lacto and sach? I would expect to start picking up mild to moderate acidity in a barrel aged sour beer inoculated with a mixed culture around the 6 month point. If using spontaneous fermentation methods, the addition of aged hops to traditional lambic recipes generally holds off significant souring until the 12-24 month age range. Your suggestion for posting more photos of various souring microbes is a great idea, and we will definitely be incorporating them into a future article. I’ve been listening to the sour hour which wound up with me here! 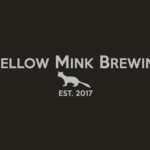 I’m going to be getting in sours here soon and had a question. I’ve been tooling around with the idea of a Farmhouse Pumpkin ale. I want to get some of the sour and earthy flavors so I’ve decided on the yeast bay Farmhouse Sour Ale strain which contains a strain of Sacc and Lacto. Now one question is on the starch consumption by Lacto. I know Brett generally eats all the starches up but will Lacto do a similar thing? The reason I’m curious is I was thinking of adding pumpkin to both the mash(roasting the pumpkin for this part) and filtering the wort through a larger variety of sugar pumpkin and then xfering back to the boil kettle and holding at 190-195 to ensure anything that may have been picked up by the pumpkin is killed. So the reason I’m curious of this method is because normally people roast pumpkins to convert the starches into simple sugars for the mash but I want to keep those starches if the Lacto will feed on them to make a more complex flavor. I would just jam a racking arm into the pumpkin basically and push the wort through it and back to the kettle via a pump. This all also assuming the pumpkin will hold the liquid well enough. It seems like an odd technique but since I plan to use a large pumpkin for it I wouldn’t feasible be able to fit that much of the pumpkin into the boil kettle. Actually to add onto my last post as I rethought that a little. I may just add some raw pumpkin at flame out to let some starches soak out, that is if Lacto feeds on it. If not I may just switch this around to use Brett as well. Its my understanding that most strains of Lactobacillus do not feed on complex carbohydrates or starches. However, Brett and Pedio will feed on these compounds. If using Brett, I think its a great idea to add some complex sugars into the beer by adding some raw pumpkin late in the boil or at flameout. If you’re going to stick with a Sacc and Lacto fermentation, I would keep all of the pumpkin in the mash. Good luck with this beer. I would love to try a bottle when its finished! Thanks for the reply. I’ve decided to add it in at about 5 mins before end of boil just to ensure to wild yeast on the pumpkin add into the mix of culture. I’m going to sour kettle the brew and once I do the boil off for that I’ll add the pumpkin and let the starches soak out. What I’m trying to decide is if I want to do a primary using only Sacc, then add brett once that phase is over. Or primary with both Sacc and Brett. What are you experiences using one or the other? Also I’d be happy to send a bottle once finished, given its good =P. Not sure why it showed a different name there in the response, but another question on this. My thoughts are I’d like to put the pumpkin in at 5 mins before end of boil giving it a little time to kill of any bacteria/wild yeast on the pumpkin. I want to leave it in the boil kettle as I chill the wort and allow more starches to soak out. Do you think leaving it in there during cooling causing a higher risk of contamination? I think the risk of contamination from the pumpkin is pretty low to begin with. I don’t think leaving it in during cooling will cause you any problems, especially since it will receive a few minutes of boiling beforehand. 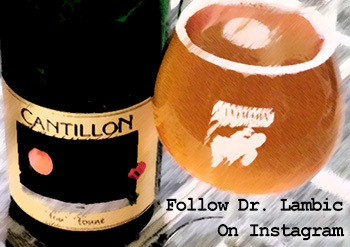 Hi Dr. LAMBIC. short question regarding starters and keeping a house culture alive. How important is it to keep your starter airlocked and away from oxygen? I am referring specifically to keeping Brett, Pedio, Lacto and wild strains of bacteria alive, on hand, and healthy. When maintaining a mixed house culture, I do not consider it critical to keep oxygen out of the culture with an airlock. I maintain my Brett and mixed cultures at room temperature in an Erlenmeyer flask covered with aluminum. Generally speaking oxygen avoidance is important during aging of the beer itself, not during storage of cultures. So I have decided to take matters into my own hands and follow your lead. With that said, I am not a brewer but will be jumping straight into the deep end. As I am jut now setting up I am forever looking for advice / insight into essential tools of the trade. Specifically I am racking my brain trying to figure out the best way of maintaining the constant wort temperature for the lacto during quick souring. What do you use (re: heating element)? Also any other preferences or advice on set up would be appreciated. What would you do if you were setting up for the first time and jumping straight into sours? I personally use small chest freezers with dual stage temperature control and small heating devices called fermwraps. This setup works wonderfully but will run around $500 to put together. I haven’t used one personally, but there is a new fermentation temperature regulator on the market called The Brewjacket that seems to be a great device for around $300. 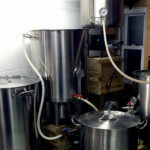 The other cheaper option I’ve seen used is to wrap a carboy or kettle with a heating element set to a temperature controller and wrap the whole setup with non-flammable insulation. Of course the other option is to select a strain of Lacto that does not require high temps for optimal souring such as Omega Yeast’s Lacto Blend. Personally I love my setup because they give me optimal temperature control for any style of beer, including lagers, but going that route is one of the pricier options. I recently made a Russian kvass beer; I soaked dense rye bread overnight, sieved the water, aerated, added a bit of sugar and pitched normal dried bread yeast (rehydrated). After three days fermenting I primed and bottled the batch, and four days later I had a semi-cloudy, straw coloured brew that was light to moderately sour and very pleasant to drink, 0.3%. The traditional method is to use old rye bread and leave open for spontaneous fermentation to occur. Because I didn’t do this I half expected mine not to be sour but it was. I was wondering if you had any insight into what actually occurred in my brew and where the sourness came from (I sanitised everything as normal). I would love to play with developing the sourness in further batches. Hi! 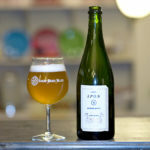 I made my first traditional gueuze about 16 months ago by harvesting bottle dregs from a few bottles of Boon Oude Gueuze along with WLP002. While the taste and aroma is somewhat discreet, I was unable to detect any off-flavors. So all in all, I’m pretty happy with it. The only problem is that it isn’t sour enough, measuring 3.8 PH. Is it possible for me to create a pure lactobacillus starter and pitch it directly into the beer? If so, would I need to pitch it along with some fresh wort as well?